What exactly is the “basic playing strategy, ” and why is it so important. The basic strategy rules for surrendering a hand. The basic strategy rules for splitting a pair. The basic strategy rules for doubling down hard and soft hands. The basic strategy rules for hitting and standing. of playing blackjack. Don’t believe it’s possible to do this? At the end of this section I’ll show how this is possible. The first step to become a skillful player is to learn the basic playing strategy. Many players believe they know the basic strategy. It’s been my experience that beginning players, who are serious about learning how to win, are usually enthusiastic about wanting to learn basic strategy. Experienced players, on the other hand, scoff at reading or learning about basic strategy because, “They know that stuff.” Well, if you are an “experienced player, ’’ let’s see how much you really know about basic strategy. Jot down how you would play these hands; unless otherwise stated, assume a standard 6-deck game, dealer stands on soft 17, and doubling down after pair splitting is permitted. You have 10-2 and the dealer shows a 3.
the dealer shows a 10. You have ace-7 and the dealer shows a 9. You have 2-3-ace and the dealer shows 4. You have 9-9 and the dealer shows a 9. You have 8-8 and the dealer shows a 10. You have 10-6 and the dealer shows a 7. You have an ace-10 and the dealer has an ace. The dealer asks if you want even money. Should you take it? You have 10-4 and the dealer shows an ace but doesn’t have blackjack. The casino allows surrender. You have ace-8, and the dealer shows a 6. The rules specify that the dealer must hit soft 17. If you got some wrong, don’t fret, because the majority of blackjack players, even experienced players, flunk this quiz, which is why casinos continue to profit from a game that theoretically can be beaten. The basic playing strategy is a set of rules that tells you the optimal way to play every hand dealt to you when the only information you have is your hand and the dealer’s upcard. Basic strategy is the mathematically correct way to play every hand because over time it will maximize the amount of money you will win and minimize the amount you will lose. 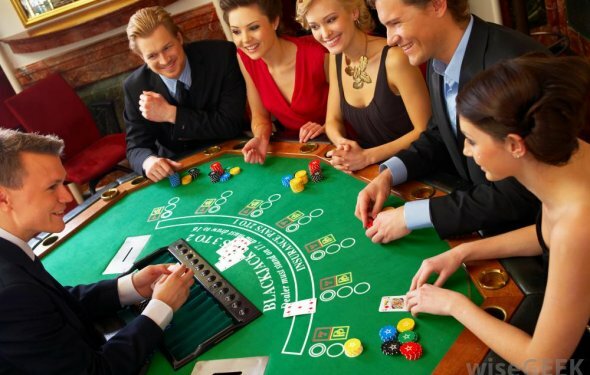 The reason that the game of blackjack is subject to mathematical analysis is because it is, inherently, a mathematical game; that is, blackjack has a fixed set of rules. The dealer must hit on 16 or less and stand on 17–21. Blackjack players have only five playing decisions to consider: stand, hit, double down, split, and surrender. The payoffs when players win a hand, including the 3-2 bonus for a natural. In blackjack, a Five card charlie is when a player accumulates five cards without going over 21. In some variants of the game, a player with a five card charlie wins automatically, regardless of what hand the dealer ultimately makes. What is a Natural Blackjack?